Wynton has played many different styles of music but his accomplishments in classical and jazz are known best, likely because he’s won nine Grammy Awards (a few in each genre). Wynton’s training and practical experience in music are marked by interdisciplinarity, he moves seamlessly through perceived sonic divisions; an effort that requires intellectual agility, technical prowess, and talent. “A good way to visualize what is required is to think about what a classically trained musician needs to do to become a world-class jazz musician. 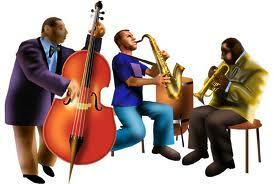 The musician has the right foundational knowledge and practical ability to make the transition. Continuing to play with accuracy and following principles of good musicianship continues to be important. But the transformation-seeking musician has to stop certain behaviors, such as following carefully laid out scripts displayed in music scores. The musician has to change the way he uses his ears. Instead of listening to ensure that everyone is playing in synch with each other, a jazz musician listens for unexpected changes. Finally, the musician has to start a new behavior—improvisation based on his personal synthesis of a variety of music styles. The transformation is possible. Jazz greats such as Wynton Marsalis, Herbie Hancock, Scott Joplin, and Shirley Horn were classically trained musicians. But it requires careful thinking and hard work. Scott thinks like a musician. The work of innovation requires thinking differently, liberating oneself from mental barriers such as tradition or formal training, and having the courage and agility to navigate uncertain terrain. As Wynton talked about key tenets of jazz — the blues, swing, and improvisation — I thought about how these qualities encouraged creativity and might lead to innovation. 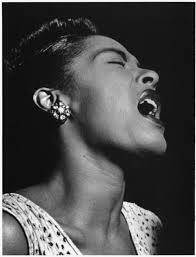 In jazz, this is better described than defined but in general, the blues is the feeling of longing that permeates the music. It’s a hybrid form — already interdisciplinary — “a synthesis” says Albert Murray, “of African and European elements, the product of an Afro-American sensibility in an American mainland situation.” (Stomping 63) As a hybrid entity, the blues captures the opposing elements (African and European) that yields the “unexpected changes” Scott mentions above. The blues musician actively synthesizes opposing elements when he plays, compounding the totality of his experiences. The blues is not a verbal music, no matter the lyrics involved. Instead, the blues is marked by vocal nuance. This is important to note because in a culture that privileges systems of efficiency and quantitative data, the blues is a reminder of the liminal space between human error and possibility and indicates the inadequacy of precision and disciplinary specificity to yield comprehensive results. In its exactitude, specificity is limited; the blues, by contrast, is broad. So, words and phrases aren’t necessarily articulated with precision; they are bent, pulled, prodded, as vocal ambiguity drives the emotions expressed, capturing a wider range than precise musical articulation can allow. In business, the blues can be thought of as the angst that arises from combining quantitative and qualitative data. By considering quantitative data in the context of qualitative data — the information we gather via observation, judgement, professional insights, experience, feeling — we enter the realm of uncertainty. 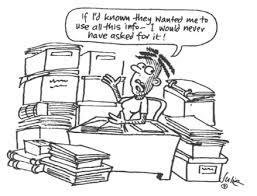 We are challenged to move away from the objective markers of knowledge, interpret the data, trust our judgement, accept the consequences therein, and exhibit courage by managing the associated ambiguity and emotional duress. While systems of efficiency have been great for providing us with objective measures and have served as guideposts we can rely on for analysis; they have eroded our confidence in using judgement and common sense and have left us ill-equipped for functioning autonomously. As Management Professor Richard D. Johnson of SUNY Albany suggests in a recent Harvard Business Review post, “Along with better data, we need to develop a more nuanced view of human qualities and human potential.” He asks, “Can we not only accept, but embrace, that some behaviors may not be reducible to easily quantifiable metrics, and that no amount of data can fully capture all of your, or my, best performance qualities?” In summary, “In a world that is increasingly driven by quantitative analyses of employees and performance, we need to find ways to efficiently incorporate both the quantitative and qualitative aspects of performance.” Musician educator Chuck Israels also observed, “An inability to deal with the selection of un-predetermined passages” in music students. The obsession with precision is ruining our ability to think creatively. This holds true is business too. A recent McKinsey study found, “Once the trainers looked below the surface, they discovered that these leaders, though highly successful in their fields, were instinctively uncomfortable and lacking in confidence when conversations moved beyond their narrow functional expertise.” Ivy league education notwithstanding, we are afraid to go off script. Wynton described swing as cooperation. We work with one another, cooperatively, to achieve a common goal. We help each other. Swing helps us understand our shared humanity; we rely on one another to achieve goals, to progress. Teamwork, group work, and such require our efforts to be cooperative or collaborative. You should read Joel Dinerstein’s book, Swinging the Machine. Think about how Henry Ford’s conveyor belt represented the automation in US culture during the Swing era and then consider the complexity represented by social media and the ways in which it has reshaped work today. As Carl Stormer says, work is looking a lot like jazz; which, as Martin Mueller of the New School for Jazz & Contemporary Music, says should be expected because jazz is a modern music — always in sync with the rhythms of our contemporary lives. We need training in how to solve complex problems with creative thinking. But “super competence”suggested something else — that talent need not be exceptional; one can be “good enough” and still improvise. That’s great news! It means most of us — if we work hard and apply ourselves — can improvise. We are capable of self-guided, independent work. This means we don’t need to be micro managed but can, instead, carry out duties sans oversight once we achieve the habits that make our actions reflexive. 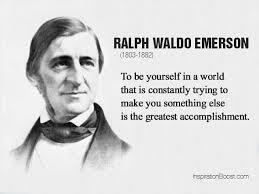 Ralph Waldo Emerson’s 1841 essay, “Self-Reliance” articulates the angst of the struggle to articulate individuality amidst the crowd. Certainly, this is our struggle. We want workers who are competent and confident enough to work without continuous oversight or affirmation but who also stay focused on a larger goal. We want workers who know their jobs so well their actions and responses are reflexive and look like play. When we have a group of self-guided employees whose work looks like play, they will have mastered self-reliance, self-management, self-governance (to address Emerson’s concern) and super competence. 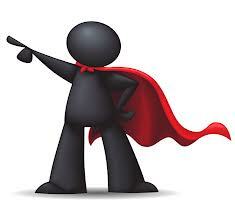 Is super competence the death of management? Great thoughts Jackie. I had a similar train of thought last night on my long drive. I think our biggest challenge is finding a way to keep the good parts of quantitative analysis but still encourage individuality. Way too many times I have seen good ideas get rejected because they didn’t fit with the analytics. Jazz would never have been invented if riffs were not allowed. The greatest minds of all time were never held back by conventional wisdom. Individual thoughts and actions must not be limited by groupthink but I certainly don’t feel very confident that that is happening in the world today. May I borrow that last quote from Emerson for my next blog? It fits perfectly with my theme. Hey Guy, I responded to your comment almost immediately after you posted but I don’t see it now. Not sure what happened. By all means, please quote me and use whatever you find helpful. Thanks for reading and sharing your thoughts. Yes, ideas get rejected bc they don’t fit; people, too, get rejected (not hired) bc they don’t seem the “right” fit for a narrowly defined position. I think the real skills shortage we’re facing is in the inability of HR or hiring mangers in general to move beyond narrowly defined job descriptions and go “off script” (as I mention in my write up), and identify the diversity of talent people bring. So much work to do!